Tim Hughes has become one of the most well-known lead worshippers of his generation in the space of just a few years. Tim's first solo project 'Here I am to Worship' was produced by Dwayne Larring and Jason Halbert of SonicFlood. One of our most popular albums. This album won the Inspirational Song of the Year category at the Dove Awards in Nashville 2003. Tim was also nominated for Songwriter of the Year. Hughes, author of the worship anthem, Here I Am To Worship, has taken his place as one of today's premier voices to worship leaders and songwriters. Tim Hughes' passion is to see worship leaders 'keep it real' as they walk out their journey of discipleship before God and man. From the UK, Tim stresses the importance of writing biblically sound worship music, and candidly addresses issues of accountability in the worship leader's life. Practical and inspiring, Tim calls us to fall forward as worshipers, toward the throne of God. Tim Hughes' first album "Here I Am To Worship" was one of the biggest selling Christian CD's of the past few years and this second offering looks set to further his incredible success. Tim was recently awarded a DOVE award for 'Worship Song of the Year'. Teaming with artist and producer, Nathan Nockels (Passion, Watermark) - this new collection of songs contains what will certainly be new worship classics for the church. When you've written worship songs that are sung by countless congregations in countless countries around the world; when you lead tens of thousands of enthusiastic worshippers in massive events; when you work is recognized by your peers with a Dove award; when you are still in your twenties - it must certainly be easy to find something to praise the Lord about. 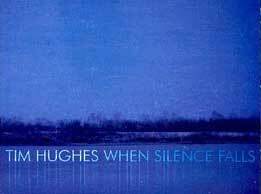 How odd then that UK-based worship leader, Tim Hughes has chosen the little acknowledged aspect of lament as the focal point of his new album, "When Silence Falls." Two years in the making, from the writer who brought you Here I Am To Worship comes When Silence Falls. 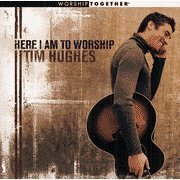 Tapping into the common experience of every believer with the influence of cutting edge UK congregational worship, Tim Hughes' lyrics and melodies give you the freedom to sing not only celebrative songs but 'real life' worship songs. Each has been written from life in his church - Soul Survivor Watford (England) and from his experiences leading worship literally around the world - from Malaysia, to Australia, to South Africa to the US. "There are some different aspects of worship that I am trying to look into," Tim Hughes explains. "One in particular is the theme of worship in lament. I've been thinking a lot about how many of the songs we sing in church are about how good God is; how faithful God is; how wonderful it is to know God. But when you read through the Psalms there are hundreds of references to life being hard and full of pain. There are questions like, 'God, where are you?' I tried to express some songs that look at that aspect of worship, that say, 'God, You are good,' but from a place that is hard, where there is pain. Tim Hughes took the album's title from lyrics from the song "Questions." "When hope is lost I'll call you Savior; When pain surrounds I'll call you Healer; When silence falls you'll be the song of my heart." "There are other songs with similar themes on the album," Hughes adds. "The Beauty of your Peace" talks about finding the power of God's peace. "The Whole World in His Hands," is about when life feels like it is changing too fast, and nothing's guaranteed, we still know that God has the whole world in His hands. For Tim Hughes one of the hard questions Christians are faced with is, when things are tough and it feels like God is distant are we still willing to say that we trust in Him? Do we have faith to believe that He is good, that He is there? "Worship is often a choice," he insists. "Sometimes we don't feel like worshipping. But God is worthy and is always deserving of our worship. In Psalm 65, verse 1 in the Message translation there is a line that says, 'silence is praise to you.' That really struck me. Sometimes just to be still before God, to not necessarily say anything - that can still be praise and worship to Him. We don't always have to fill every moment with actions and with words. That stillness can be an offering of worship." The concept of a worship project that centers around lament may sound like a downer album, but nothing could be further from the truth. While "When Silence Falls" certainly deals with deep and emotion-laden concepts, there is no doubt that this is a praise and worship album that also expresses the joy in the journey. "How can we express God's goodness when life is hard," Hughes asks rhetorically? "How can we maintain the joy and amazement and wonder? Because as Christians we always have so many things to be thankful for." Hughes says the challenge is how to express that while also expressing the reality of this broken world we live in. "For young people that is especially important," he says, "because I think we can alienate and push them away from God and the Church if we don't acknowledge that things can be difficult. I think the kind of happy-clappy, 'Come to Jesus and you'll never have another problem,' mentality just isn't true. It isn't in the Bible I read, and it messes kids up." Hughes' solution - to write songs of worship that could be used by the local church around the world. "My heart always has been that every song could be used in church," he says. "My primary calling is to be a worship leader. For me the most important thing is my local church, leading worship regularly on Sunday and training up other worship leaders. It just so happens that I have written some songs that have been documented and have gone a bit wider. But I think even if I were to stop writing songs, if I never wrote a song again, I would still be leading worship. For me it has never been about being an artist. It has always been about writing songs I could use in a worship service and hopefully others can, too."